You are here: Home » Opinions » Whither Citizen Tibetan? The legal or otherwise status of the Tibetans living in India is back in focus after two High Court rulings in India, the confusion in its aftermath, and the more recent asylum policy or policy interpretations in Europe which slammed the door in the face of such Tibetan applicants. The “legal” status of Tibetans living in India is, of course, pretty clear. Those born in the country before Jul 1, 1987 and their children are citizens by birth. That, in any case, is what the country’s citizenship law says in unequivocal terms, leaving no room for any judicial interpretation or executive discretion. The rest, a significant number, are foreigners with temporary residence permits. But these do not explain their actual situation. True, the High Courts of Delhi and Karnataka in Dec 2010 and Aug 2013, respectively, ordered the government of India to give effect to the provisions of the country’s citizenship law and issue passports to the two Tibetan petitioners. And on Feb 7 this year, the Election Commission of India sought to implement the Karnataka High Court ruling and issued notice to all states to enroll all the born Tibetan citizens of India in the nation’s electoral list ahead of the upcoming, Apr-May 2014 general election. Also, earlier, on Jan 25 this year, the Indian Nursing Council clarified, citing the Delhi High Court ruling, that Tibetan nurses born in India (before Jul 1, 1987), being citizens, could be registered to enable them to practice their profession. This was after the Council had sent a notice on Mar 25, 2013 to all universities and State Nursing Councils in the country, stating all Tibetans born and residing in India, being foreigners, cannot work as nurses. But while the directive of the Election Commission, an autonomous constitutional body, enabled a fair number of Tibetans – just around a thousand, to be more precise – to vote, their actual citizenship status is still far from clear. This is because, apart from the fact that India does not maintain a register of its citizens, the country’s Home Ministry has made clear, according to newspaper reports, its opposition to recognizing the Indian citizenship of all Tibetans born before the specified cut-off date. A paradoxical situation thus remains that Tibetans who voted in the recent general election have their voter’s I-card as proof of their Indian citizenship, but are still left holding their Foreigner’s Registration Certificate which they must renew periodically if they wish to be allowed to continue to live in India. 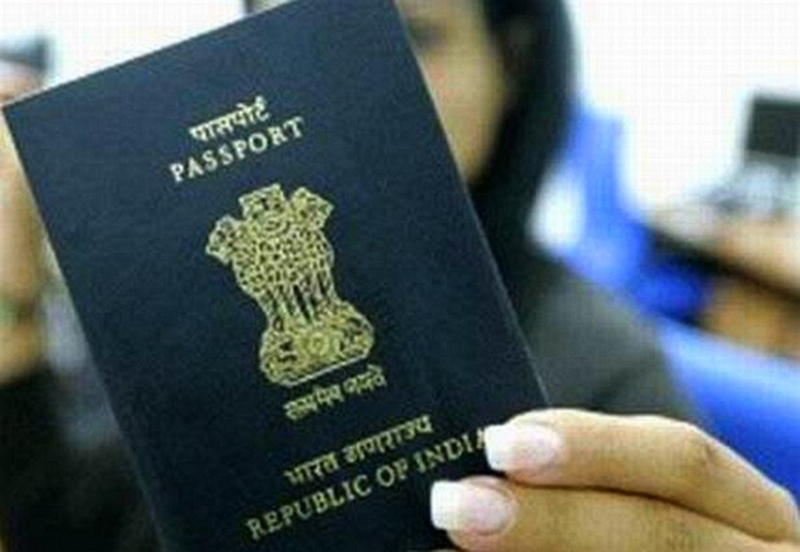 According to a recent newspaper report, a born Indian citizen of Tibetan origin who sought to surrender his Foreigner’s Registration Certificate while applying for a passport was not allowed to do so. The High Court of Delhi was reported to be likely to hear his case against this decision in October this year. Newspaper reports said the government’s position on not implementing the High Court rulings on all the eligible Tibetans was based on intelligence advice and the fear of offending China. The basis for this fear is not explained. In any case, such reasoning is irrelevant to the High Court rulings on the legal issue. Besides, Tibetans have been taking up citizenship in Europe, America, Canada, and Australia without even a murmur of protest from China. On the Tibetan side too, the main body of the eligible ones appear to be not particularly interested to assert their citizenship either due to inertia, or sentiment, or misinformed apprehensions, or some combination of them. They are, on the whole, rather satisfied with the status quo and are not sure what citizenship will lead to in terms not just of their individual circumstances but also as a community and its effect on the Tibetan cause. This is despite all the uncertainties surrounding them in all areas of their life resulting from the absence of a legal definition of their actual status in the country. The fear of the absence of citizenship haunts many of them any time they wish to venture an occupational initiative, pursue a professional education, apply for a job, or buy a piece of property. And this is precisely the reason why the younger generation of Tibetans, being anxious to be sure of who and what they are not just in terms of pursuing the long term Tibet dream but also for the purpose of leading, in the meanwhile, a meaningful life of being productive and contributing members of the society and country they live in, and to thereby do well for themselves, have stepped out of the line. So far two have gone to court and obtained relief. For the rest, the uncertainty continues. 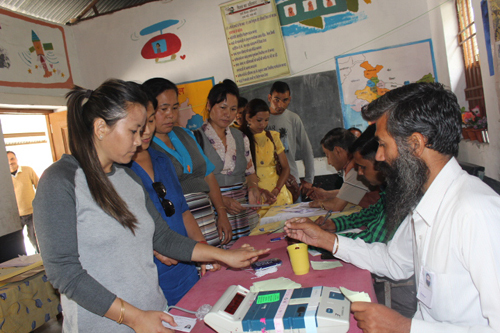 Tibetan voting in Indian election. Many have gone to try their luck in the West by all sorts of means, driven by the will and determination to ensure, at least for their posterity, a life of dignity and self-respect rather than one defined by an increasingly unsustainable charity. So far only Canada has studied the real situation of Tibetans in India in terms of their actual situation of being stateless with the attendant socio-economic and political problems and granted asylum to those who have managed to make it there. In the USA, many Tibetans have managed to obtain asylum by convincing the relevant immigration and judicial authorities there about the government of India – as well as of Nepal’s – declared policy of not allowing anti-China activities on its soil, whatever the actual situation may be. Europe is, however, another story. Most of them grant asylum only to Tibetans who have, firstly, arrived directly from Tibet, and, secondly, only if they could prove that they were victims of political, cultural, and other kinds of persecutions which might render them eligible for it. They ignore all the yearly and special reports from the most respected of international human rights organizations – such as Amnesty International, Human Rights Watch, and Freedom House – and from the US government and Congress, as well as from indigenous rights bodies, explaining in great detail how Tibetans “as a people” are victims of the most brutal and systematic kinds of ethnic, racial, religious, cultural and colonial persecution under the Chinese rule. Many Tibetan seem to be worried about the sustainability or otherwise of their exile administration if so many Tibetans were to gain recognition of status as Indian citizens. The apprehension is entirely misplaced. Firstly, a signification proportion of Tibetans are not eligible for that recognition while many others, though eligible, are not interested. Secondly, it will be advantageous for both Tibetans and India if the exile community is a mix of both citizens and non-citizens for several obvious reasons. Thirdly, being an India citizen would not lead one to look, think, and act or being viewed less like a Tibetan. Rather, they will be in a position to make more effective contributions to the exile Tibetan community and the Tibetan cause with their rights and privileges of citizenship and from whatever positions of power, influence, or other kinds of standing many may gain in India through their capability, knowledge, skill, and qualifications. Fourthly, with all the opportunities and rights and freedoms offered by citizenship, there will be less reason for many Tibetans to want to travel to the West, thereby contributing significantly to the sustainability of the Tibetan community in India. An oft cited reason against taking Indian citizenship is that it will cause disappointment among Tibetans in Tibet. Unfortunately, nothing can be done about it so far as born Tibetan citizens of India are concerned. Besides, given our middle way policy, the alternative to Indian citizenship under this logic is Chinese citizenship, which under the present circumstances is not at all any better. If Tibetans in Tibet have no choice but to go by Chinese citizenship, what real choice do those in India – and other countries – also have if life must go on? Taking up foreign citizenship surely doesn’t amount to selling one’s soul to the devil, as we all do understand. After all, the Tibetan cause resides in the hearts and minds of the Tibetan people, not in the passport booklets they hold. Besides, citizenship is not a zero-sum game. One can be a good – and an empowered one at that – Tibetan by being a loyal citizen of India or any other free democratic country. I dolma tsetse born in India 1986. Wants to apply Indian passport . Contact CENTRAL TIBETAN ADMINISTRATION in INDIA or MINISTRY OF EXTERNAL AFFAIRS in INDIA for the process and procedure. After passing of 50 Year, Nobody knows When China will or not give Independence to Tibet So till that time It is Beneficial for Tibetan people to get Dual Citizenship ( TIBETAN + INDIAN) instead of being a Refugee in India. if they Become citizen of India, children of Tibetan people can apply for Govt & job in India. they can buy property in India and can access business in India. Many people of the world have dual citizenship so it is not bad for Tibetan people.